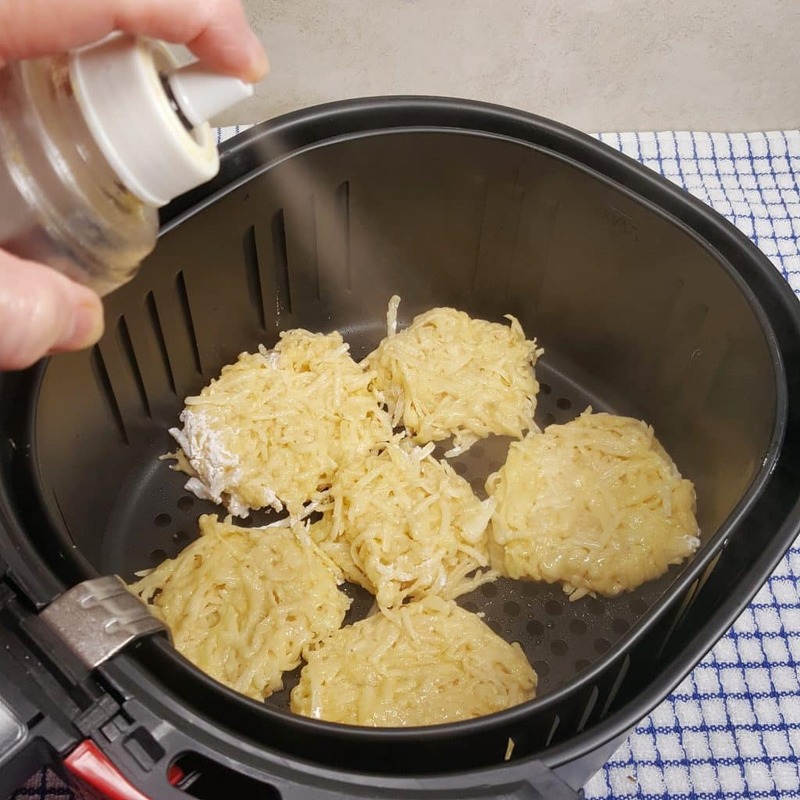 Air Fryer Chanukkah Latkes are served during the Jewish holiday of Hanukah to remind us of the miracle of the burning of the oil lamp. All the flavor of traditional Latkes, without all the grease. 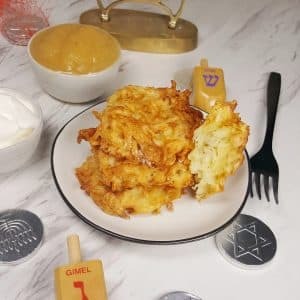 These Air Fryer Chanukkah Latkes are perfect for a traditional Chanukkah meal, but because of using an Air Fryer, will have much less calories. Latkes are traditionally cooked in Oil during Chanukkah. I like to use Grapeseed Oil, but feel free to use Olive Oil, Coconut Oil, Vegetable Oil, or whatever you like. Just make sure that you use a good, quality Oil. Chanukkah starts on the 25th day of Kislev according to the Hebrew calendar and lasts for eight days. It falls between late November and December each year. This is based on the Hebrew Lunar Calendar. It is about eleven days shorter than a solar year. Every two or three year, an intercalation of a month is added to the Hebrew Calendar to bring it in line with the solar year. In 164 BCE, Judah Maccabee and his group, saw that the Oil Lamp (the eternal flame) had only enough oil to last one day. It took them eight nights to replenish the Oil. Miraculously, the Oil Lamp burned for eight days, until there more Oil was obtained. What is the symbolization of frying Latkes in Oil? Latkes symbolize and commemorate the miracle of the burning of the oil lamp in the Jewish Temple. In other countries, doughnuts are fried in oil, are eaten during Chanukkah. If attending a Chanukkah party, you may notice many types of food served, have been friend in Oil. This is very important and very traditional of the holiday. 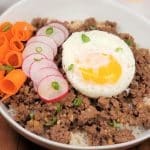 The ingredients are very basic and simple. 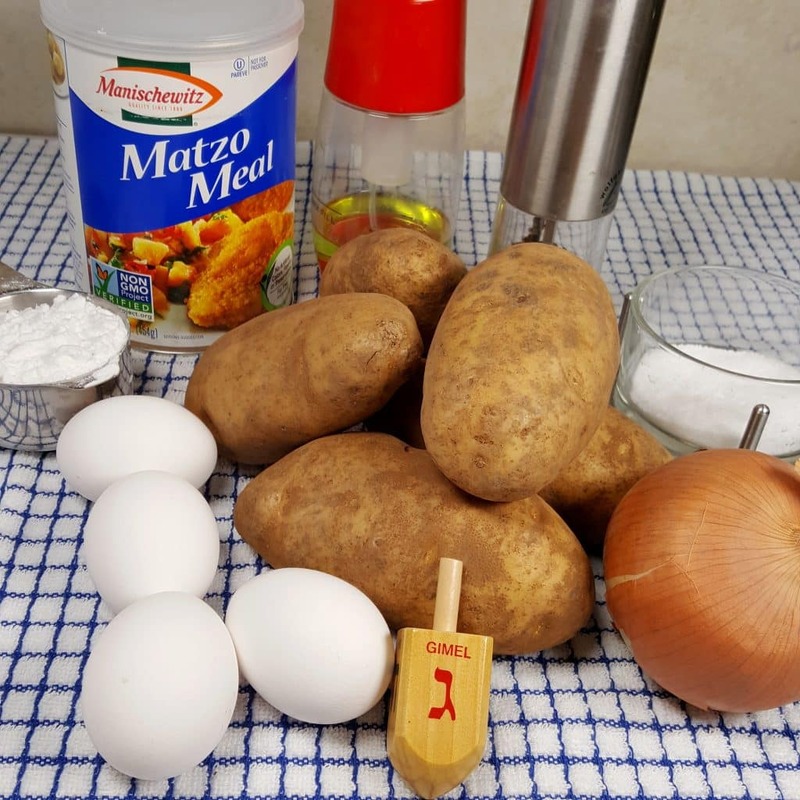 What are the ingredients for Latkes? Many people skip the Eggs, which are used as a binder. Potato Starch, Matzo Meal or Flour are often also used as a binder to keep the ingredients together. Herbs, such as Chives and Scallions can be added for additional flavor. Oh, those are really good! Garlic Powder, Nutmeg and Allspice are sometimes used to flavor. For Thanksgiving, try adding a bit of Pumpkin Spice to the mix. OMG, that is good! I change off, as I like them both ways. However, I prefer saving knuckle skin and using a quality 11 cup Food Processor with the automatic grater option. 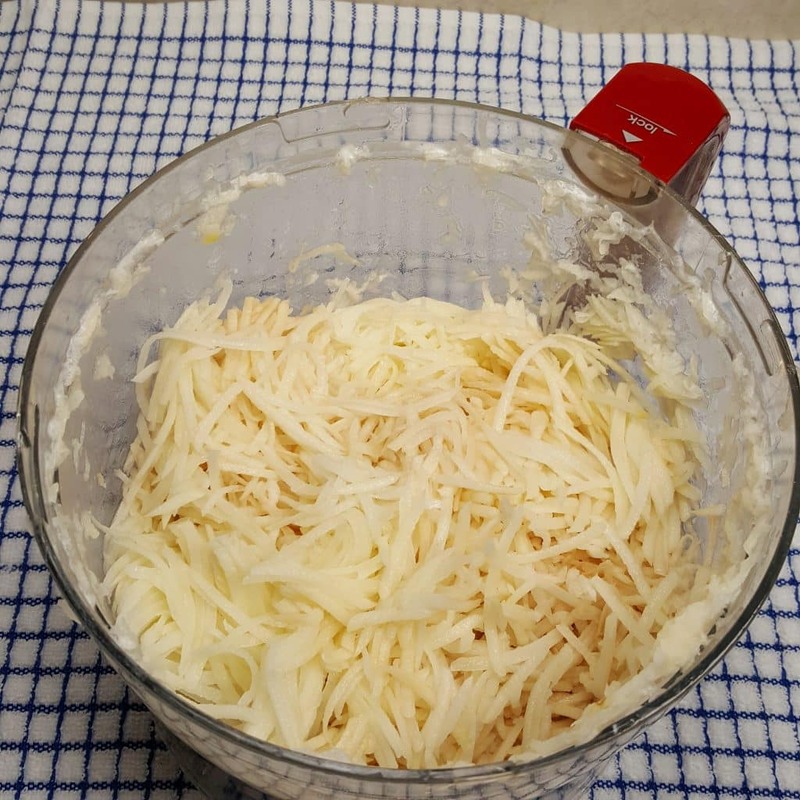 If you want to get really authentic, after grating the Potatoes, put about 1/3 of them back through the Food Processor for a second grating. The Potatoes will start to oxidize and turn brown pretty fast. 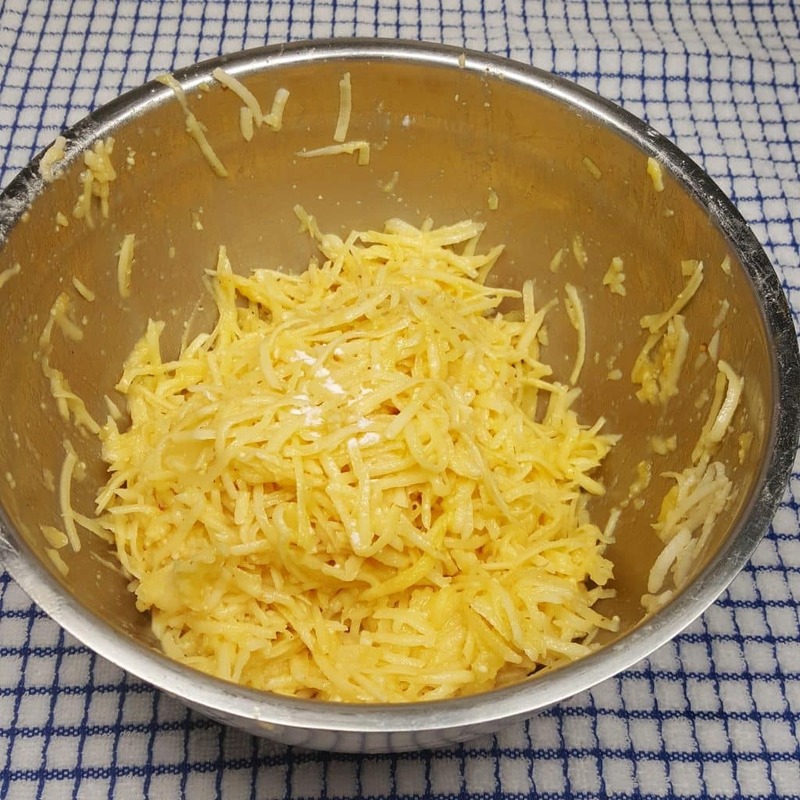 Place the Grated Potatoes in a Medium Mixing Bowl with Water. 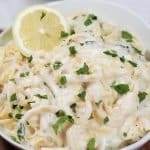 The extra starch will release and the Potatoes will be nice and white again. Use the grater blade and process the Onions. There will be tons of water released from the Onions. Pour it out. Use a Tea Towel or a strong Paper Towel and squeeze out as much water as possible. Extra water in this recipe is not good and will cause the Latkes to fall a part. 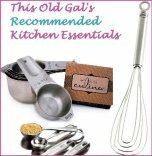 Whisk up the Eggs really well. Add in the rest of the ingredients, including the Onions, which have been squeezed well. The soaking of the Potatoes actually makes these Air Fryer Chanukkah Latkes taste better. Soaking Potatoes for any use, almost always makes Potatoes taste better. Check out my Air Fryer Perfect French Fries and my Pressure Cooker Mashed Potatoes. There is a reason the reviews are so terrific. Soaking Potatoes is key! After draining the water from the Potatoes, you will see some pure white starch left behind. Add the Shredded Potatoes to the Bowl with the Onions and mix it all together well. Scrape out the Potato Starch from the Bowl where the Potatoes were soaking and mix it into the Latkes mix. I have another Latkes recipe. 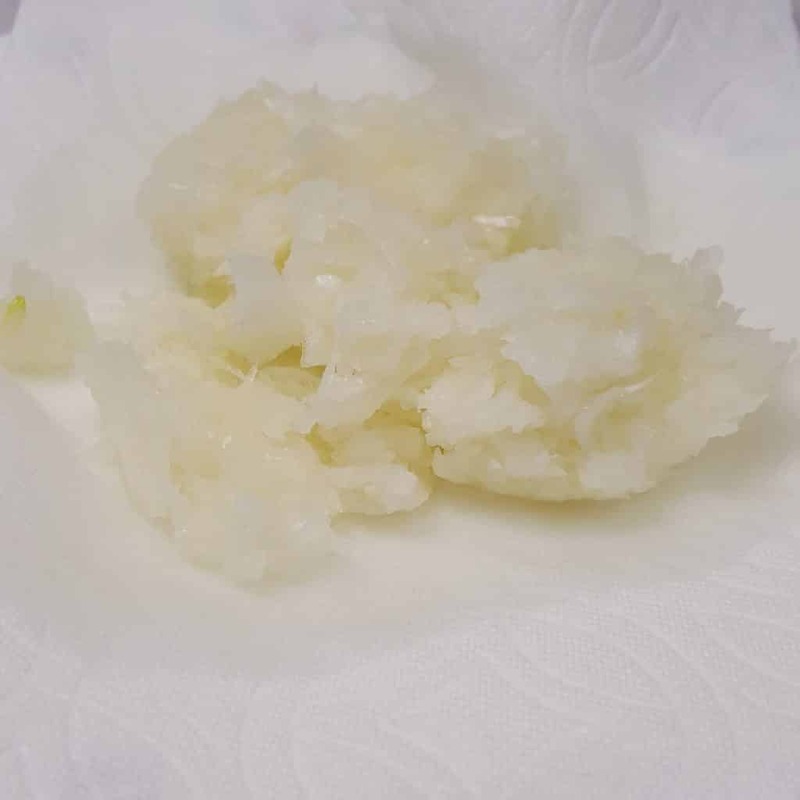 Check out my Air Fryer Potato Latkes Bites. They are super yum and crispy too. Those are easy to make and fun to serve at parties. Notice the color of the Mix. No brown or green color here. I have a story about that. Check the other Latkes recipe for that story. Grab about 1/4 cup of Latkes mix and form into a flat circle. Coat the Latkes with Potato Starch if you like, which kind of protects the Latkes, so that the Oil sits on top. I find that it gives and extra crisp to the Air Fryer Chanukkah Latkes. 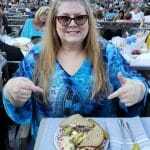 Often times, Chremslach, Yiddish for “fried pancake,” appear on deli menus as Potato Pancakes. They are not the same thing as Latkes, which are thin and crispy. 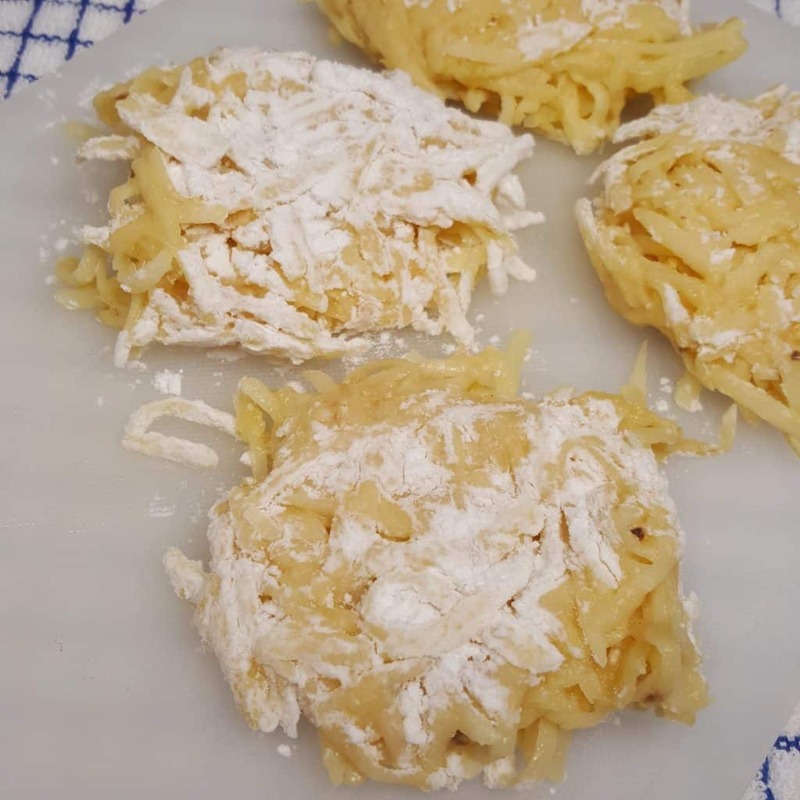 Chremslach, are made with potatoes that are first mashed and then made into a thick batter. Almost like a Knish, but without the crust. 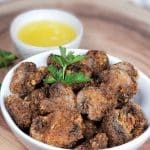 Prior to using your Air Fryer, make sure to read my Article on How to Properly Season an Air Fryer. The very best Oil Mister I have found is this Fine Life Oil Mister. It doesn’t clog and once you pump it, you can spray and spray and spray. In this case, spray the Latkes very, very well. Spray them and spray again. You want to really saturate them with Oil. Remember, as much as you think you are using, you are only spraying less than Tablespoon. I mean much less. They look like they were fried on the stove in Oil. You don’t want perfectly shaped looking Latkes, right? In a skillet, the Latkes spread out and there are bits of shreds hanging out all over the place. Just plop them into the Air Fryer and flatten them a bit more. Yummy! Really, these are delicious. You know how so many of us try to save calories by baking Latkes? They are yummy, but not YUMMO yummy. 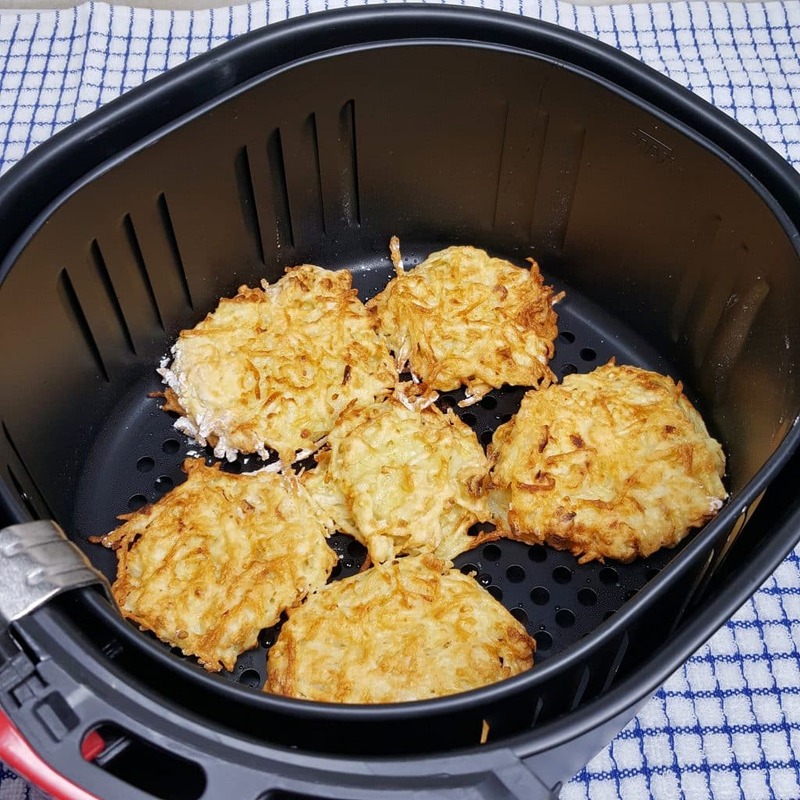 These Air Fryer Hanukkah Potato Latkes are definitely YUMMO yummy. You can be proud of them, knowing that they are the real deal. After all, Jewish law never indicated how much Oil one had to be use for frying Latkes. So, here is a whole batch of Latkes fried in about a Tablespoon of Grapeseed Oil. Serve them with Homemade Applesauce (in my book) and Sour Cream or my Homemade Instant Pot or GoWise Yogurt! 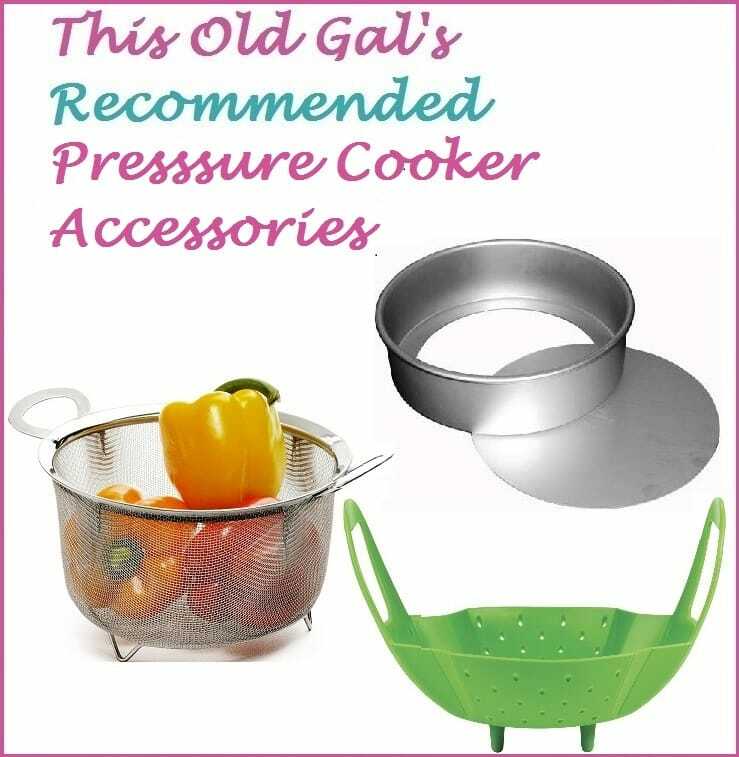 For more Jewish recipes you may love, check out my Grandma Rose’s Kugel, Pressure Cooker Sweet & Sour Stuffed Cabbage, Pressure Cooker Shabbos Brisket and more. 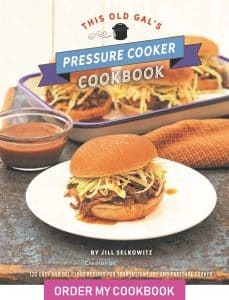 For the best Jewish Matzo Ball Soup around, well, you will have to wait and buy my book! Scrub Potatoes well. Peel if you like. 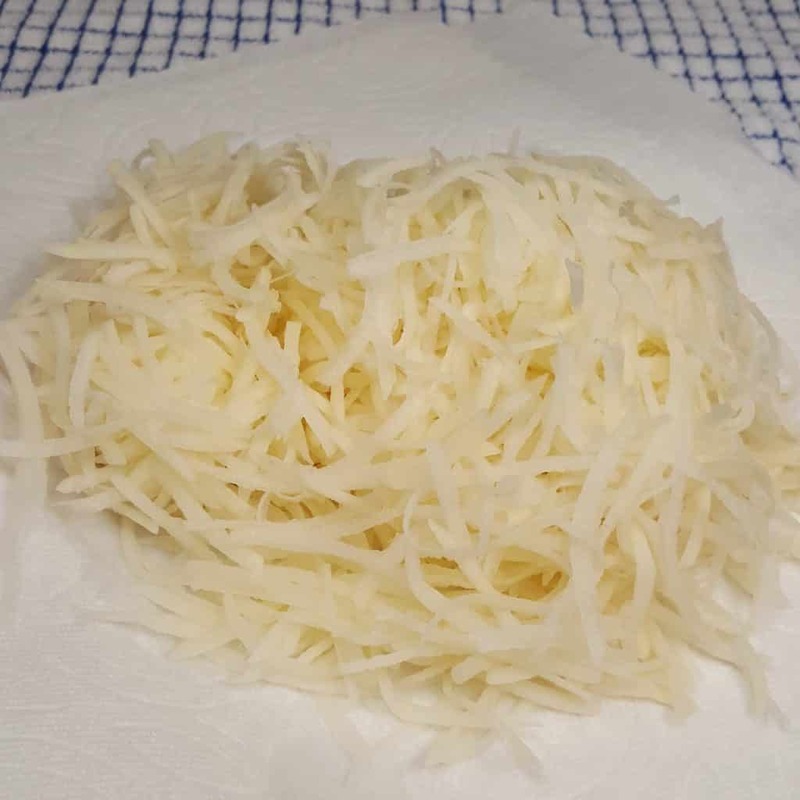 Run through Food Processor to grate and then place in a Bowl with cool waters. Set aside. 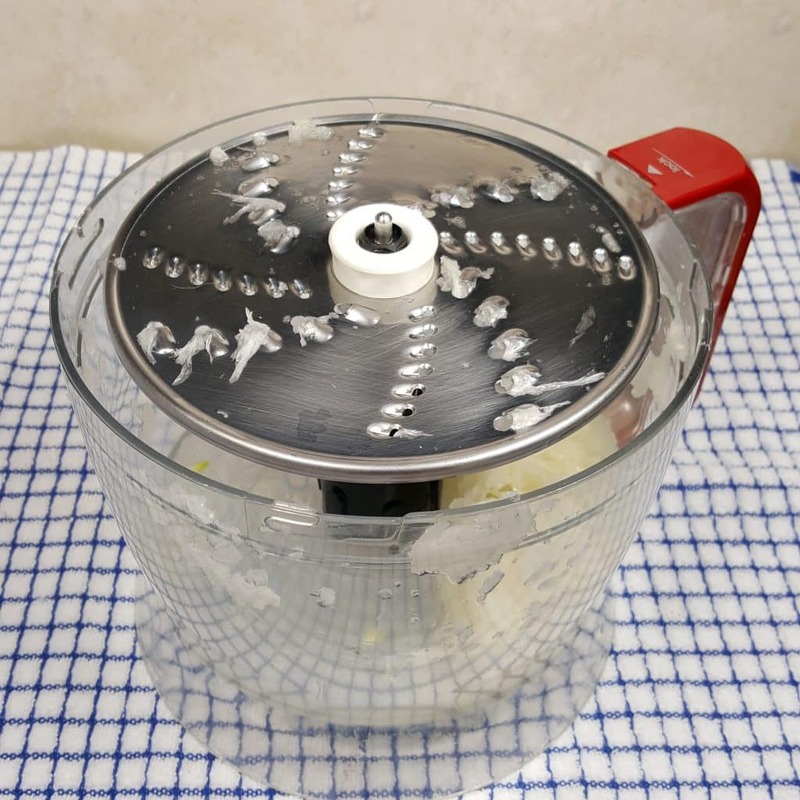 Rinse out Food Processor and grate Onions. Place Onion in Tea Towel or Paper Towel and squeeze out all liquid. 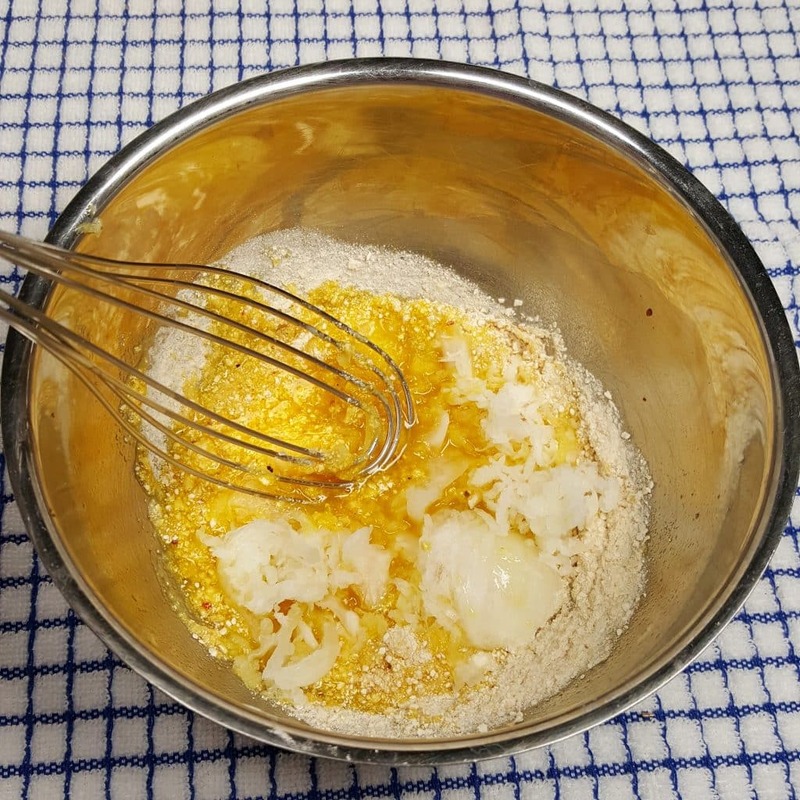 In a medium mixing bowl, whisk together Eggs. Add Salt, Pepper, Matzo Meal, 1 TBL Potato Starch, Baking Powder (if using) and grated Onions. Drain Water from Potatoes and save the Starch left in the Bowl. Squeeze out all water from Potatoes and add to Onion Mixture. Scoop out the Starch from the Potato Bowl and add to Latkes mixture. Form Latkes into Flat Circles and dip into dry Potato Starch, if desired. Spray one side of Latkes well with Oil. Place oil side down in well oiled Air Fryer. Generously spray Latkes with Oil. Air Fry at 380 degrees for 9 minutes, turning over after 5 minutes. 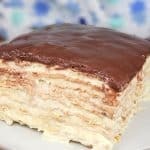 Serve with Applesauce and Sour Cream. Baking Powder is optional. 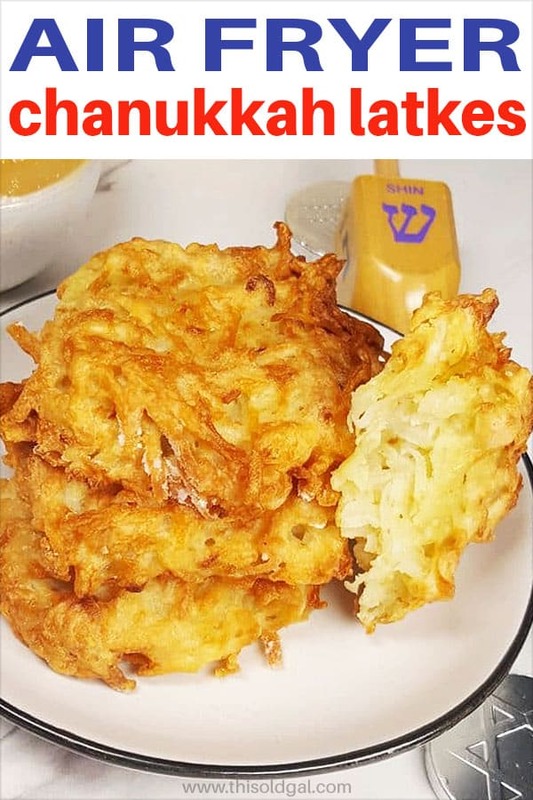 It will add to the fluffiness of the Latkes Bites. Traditionalists did not use it, so if you want to stay to old world tradition, don't use it. For a fluffier Latkes, toss it into the batter. Some people peel the potatoes, others do not. Try them both ways and see which you prefer. I do them both ways. 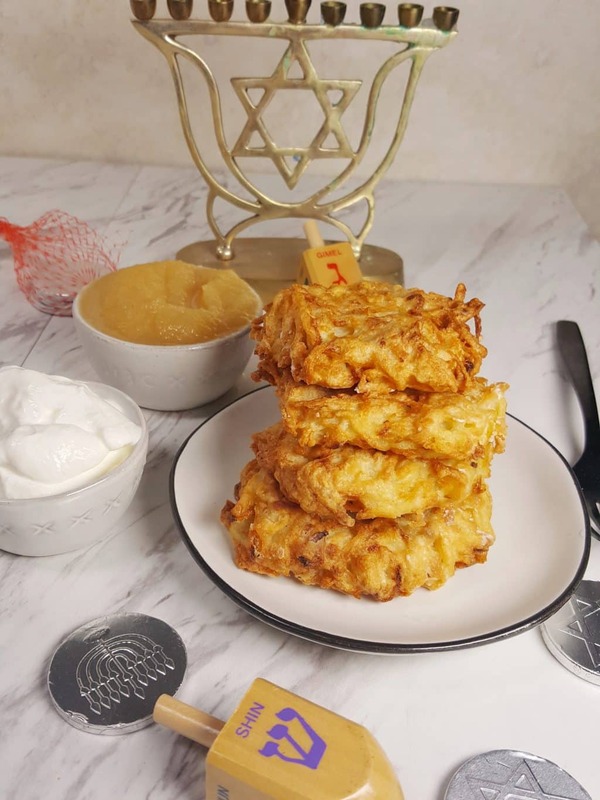 PIN this Air Fryer Chanukkah Latkes! The whole family loved these! Thanks for posting.